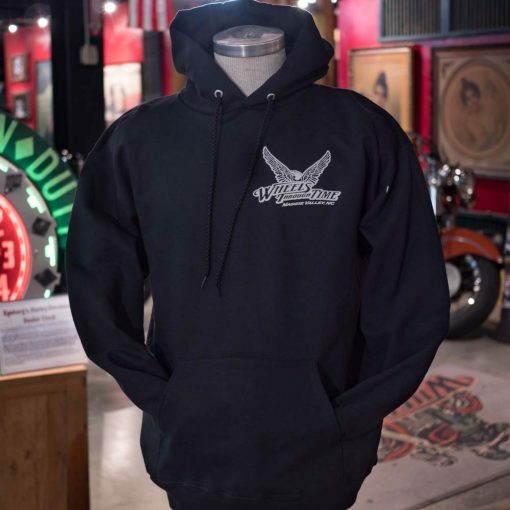 The All-American Hoodie! 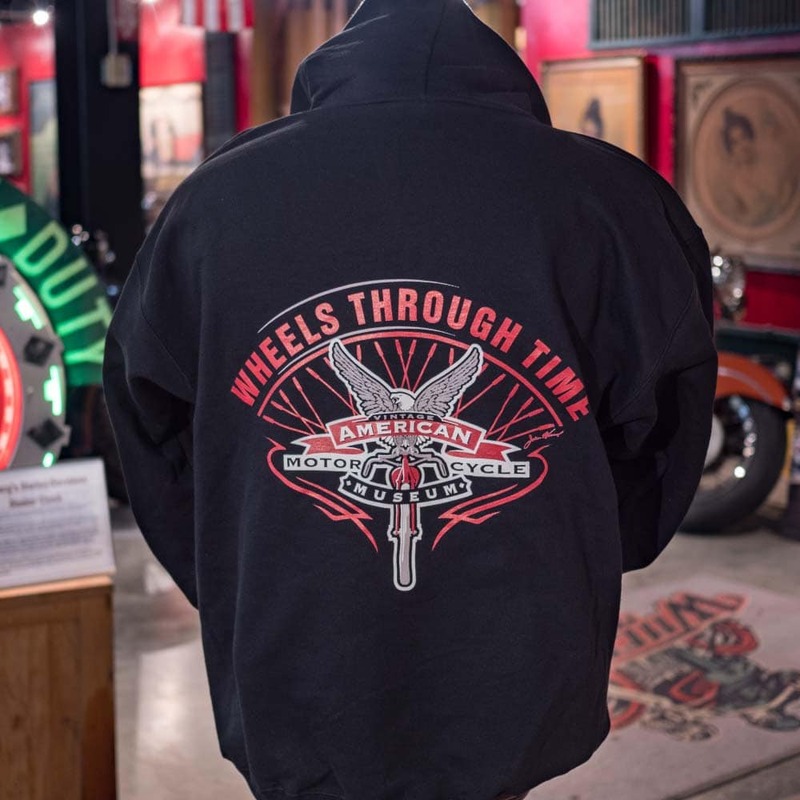 This hoddie features the American eagle perched on a teens-era race motorcycle. Get yours today! Design on back with front left chest logo and right pocket.